As strange as it may sound to some people, I’m a huge fan of white tea. Most people when they think of tea think of the three well known teas – black tea, green tea, and herbal teas. When I bring up that I prefer white tea, people look at me as if I just made up a new type of tea. For those who know nothing about it, is one of most rarest and treasured of the tea classes, since it is handpicked early in the spring and undergoes minimal processing to preserve its flavor. I personally think the flavor itself its more sweet and delicate, making it a real treat during the winter when you need to sit back and relax. Recently, I learned of a new organic white tea that really perked my interested – Numi Organics’ Justine’s Blend Tea. Looking for a delicious, relaxing tea created by another tea enthusiast? If so, we think you will love Numi Organic Tea Justine’s Blend. This tea was created by Justine Klein, a tea enthusiast from Pennsylvania who won the My Tea Blend contest. It is a delicate and refreshing white tea combined with zesty ginger, tart hibiscus, orange peel, and licorice. Like all their other teas, it is certified organic, Kosher, Hala, and made with 100% real ingredients. This balance, delicate tea is sold in a 16 oz bag for $38.95 on the Numi Organic Tea website. To me, this is one of those teas that is truly perfect for cold days. It has a wonderful mix of sweet and tart flavors with a subtle spice flavor that is perfect for warming you up and relaxing. It is truly unlike any other white tea I have tasted and reminds me a bit more of an herbal tea in all honesty. That being said, I really had a hard time putting this tea down to write this review. I had to stop just about every sentence to take another sip. In my personal opinion, this is one of those teas you want to keep in the house for snowy days or where you want to warm up after walking the dog in what seems like arctic temperatures. Based on my own experience, I am happy to give this tea an A rating. 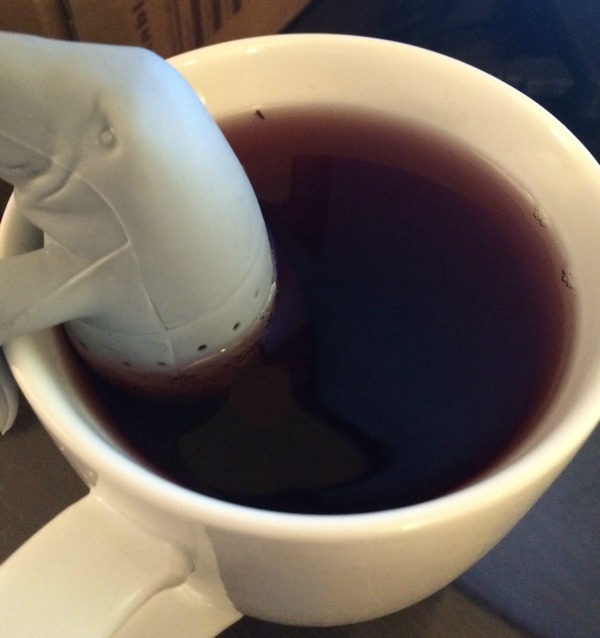 Would you like to try out this awesome tea for yourself? 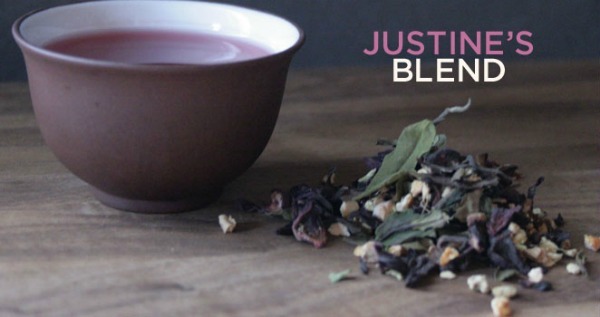 You can find Justine’s Blend on the Numi Organic Tea website or use their store locator to find a store near you that sell their awesome tea! As I had put in another post here, I’ve been searching out for new organic teas! I’ve been esp looking for teas with licorice, and now I see one – I must try this!!! Another storm is coming in, maybe I can find this asap! I’ve never tried white tea. Numi Organic Tea sounds delicious! And yes a nice cup of hot tea is great on these freezing cold nights. I love a calm relaxing cup of tea. This tea is organic , which is good for me, as I have liver disease. I have never tried white tea before. It does sound quite wonderful. It is a little expensive for my taste but I still would love to try it someday. I prefer white tea too. It has a more delicate flavor. This blend sounds pretty good. I enjoy a drink that’s so flavorful that you want to savor it, not just drink it down.